There's a new tool you can use to help predict if the person you are dating is a good prospect for a long committed relationship. It is your credit score. It is one more reason to improve your credit report and keep it good. A recent study by the Federal Reserve Board looked at 12 million randomly selected consumers from the databases of the credit reporting bureau Equifax over 15 years. The results were surprising. People with higher credit scores (i.e. better) were more likely to form a successful committed relationship than those with low scores. 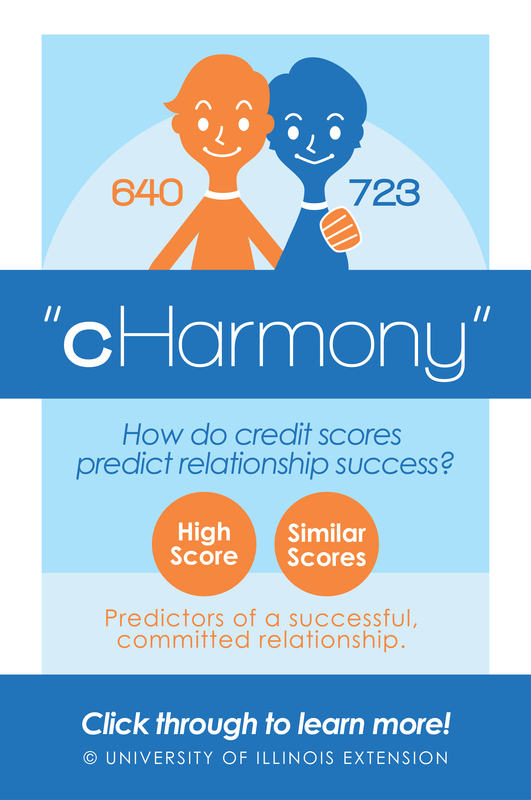 Also, people with closely matched credit scores were more likely to stay together. This was true regardless of race, income and education. Low credit scores and widely mismatched credit scores can be obstacles for couples trying to create a life together. It can mean higher rates for insurance, security deposits, and interest rates. It can prevent acquiring the loans necessary to purchase homes, cars, and cell phones. It can keep you from getting a job you want or need. The report indicates up to 60% of employers run credit checks on potential employees before making the decision to hire, fire or promote them. Several states have outlawed this practice with some exceptions. Those states are California, Colorado, Connecticut, Delaware, Hawaii, Illinois, Maryland, Oregon, Vermont, and Washington. There are exceptions in most states that allow certain employers to use your credit report, including financial institutions, public safety officers, and where a credit report could be related to your job duties. Lower credit scores usually mean negative credit history including paying bills on time. Add derogatory credit items including foreclosure, bankruptcy, and judgments and this speaks to a person's trustworthiness to meet their obligations. Trust is a huge characteristic in successful relationships. Based on survey data the researchers conducted about the credit data, they contend that higher credit scores reflected a deeper sense of trustworthiness and commitment to non-debt obligations. Credit reporting has changed since the Fair Credit Reporting Act (FRCA) became law in 1970. Prior to that, your credit report included information about your character including income, marital status, alcohol and drug use, reputation, habits, morals, and marital problems. According to the study, "character reports contained information on whether someone was steady and reliable and how good was someone's reputation as to habits and morals." Pre-FCRA credit reports frequently included more qualitative character reports in addition to statements about debt repayment history. These features of pre-FCRA credit reports suggest that information on general trustworthiness is likely to be helpful in predicting debt default. Today, credit scores are widely used in a variety of contexts as an indicator of reliability and ability to honor and maintain a broad range of commitments, including rental and employment relationships, not just those involving debt and credit. So, what does this mean for the average person? First, credit scores are not public information, meaning accessible to anyone. You have to rely on your potential partner to reveal their number to you and truthfully. Secondly, you must each get your score from similar sources to be assured of reporting accuracy. For example, scores obtained from a bank when applying for a mortgage or a car loan are based on different criteria and rate differently than scores that are considered educational in nature. The educational ones you purchase from a credit reporting bureau or come on a credit card statement or from credit websites like Credit Sesame or Credit Karma. Not that any one is wrong. However, because they are based on different criteria and formulas, they can be very different. More importantly, you should keep on top of your credit reports and regularly check for problems or inaccuracies that could lower your score. Once you know what the reports are saying about you, take action to develop and practice the skills necessary to raise and maintain an excellent credit history and score. This can be done at any income level. Money is an issue that most dating couples either don't talk about or discuss in sufficient depth. Financial troubles are the most cited reason for divorce. Maybe this new paradigm of using credit scores to predict relationship durability will change that. If you discover that your partner seems to be perfect in most other areas than credit scores, use the time before you get too involved to learn or share skills that will change your economic future for the better. Wouldn't it be great if we all lived in "C-harmony?"